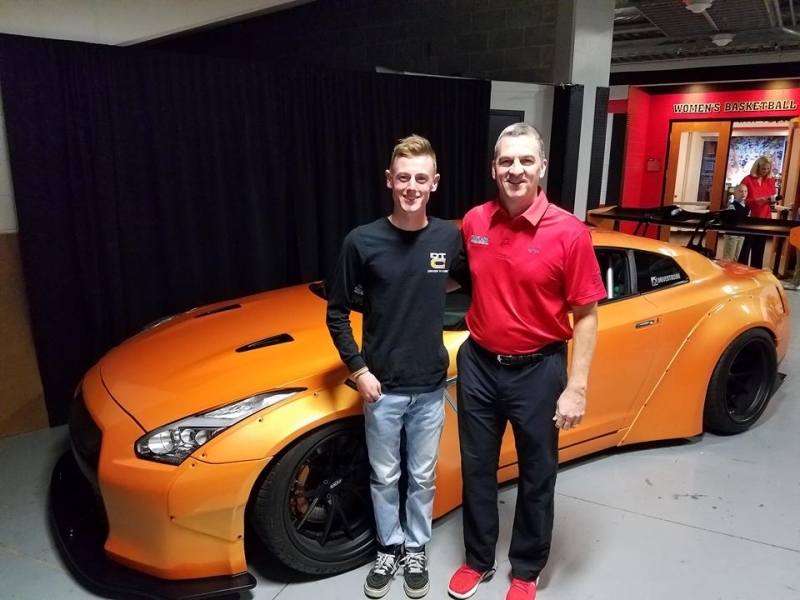 After meeting more car enthusiasts at a Cars and Coffee event, Andrew was inspired to make his dream car into his dream build by bringing the car down to a local shop for a Liberty Walk body kit, a fresh coat of paint (a custom shade of orange), and some serious tuning under the hood. The car now cranks out over 700 horsepower at the wheels. This impressive performance is achieved through a number of bolt-on performance parts and some aggressive tuning. Getting that power to the ground is a pair of 335 mm wheels in the rear, also helping to fill out that wide bodywork that’s been bolted on.